Sean Foley is to adapt and direct the Ealing comedy for the world premiere stage production which will star Stephen Mangan and Kara Tointon at the Theatre Royal Bath and Wyndham’s Theatre, London. 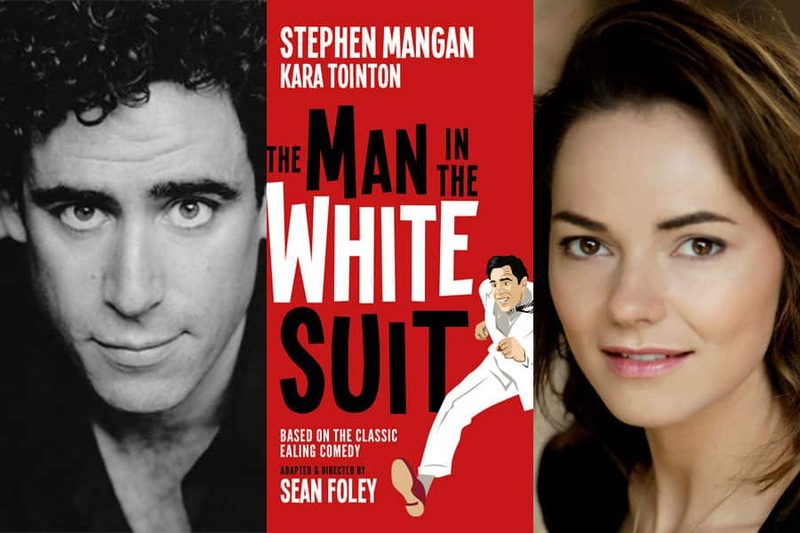 Producers today announced that a stage adaptation by Sean Foley of the classic Ealing Studios comedy The Man in the White Suit, will play a three week season at Theatre Royal Bath, prior to receiving its world premiere at Wyndham’s Theatre in previews from September 26th. The production will be directed by Sean Foley and will star Stephen Mangan as Sidney Stratton and Kara Tointon as Daphne Birnley. Set and costume design will be by Michael Taylor.